If you want an all-in-one tool for managing, viewing, and doing basic editing you'll find ACDSee Photo Manager 12 ($70, seven-day free trial) well worth the try. It's got every photo tool you want, organized in an easy-to-use manner. 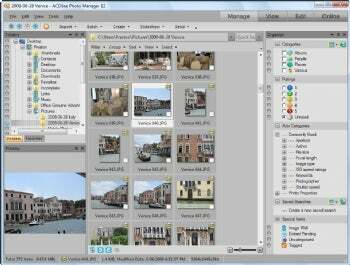 ACDSee Photo Manager 12 includes a variety of tools for managing your photo collection, including a Windows Explorer-like interface.